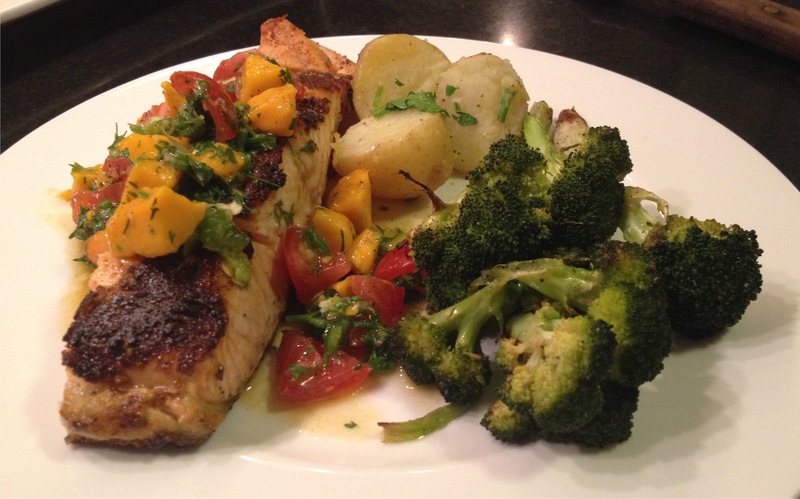 Salmon with mango tomato salsa served with parsley buttered boiled potatoes and roasted broccoli. So I’ve been on this sweet and savory kick. (We loved the pork chops with grapes.) Just the other night I wanted a quick meal again. Quick, because I’m always starving when I get home from work at night and my husband says I get very mean when I’m hungry. (he’s right 🙁 ) I had a beautiful piece of salmon and a mango. I love these little yellow mangoes. Here’s one that’s really ripe but I wanted to show it to you because I think these are so much more flavorful than the large red and green ones. I put together this dish of roasted Salmon with Mango Tomato Salsa in a jiffy, and it was so delicious, so fresh tasting and so very yummy! I’ve done mango salsas before but never with tomato, but being on this sweet and savory bent gave me the go-ahead to do this. (Like I need permission for myself?) 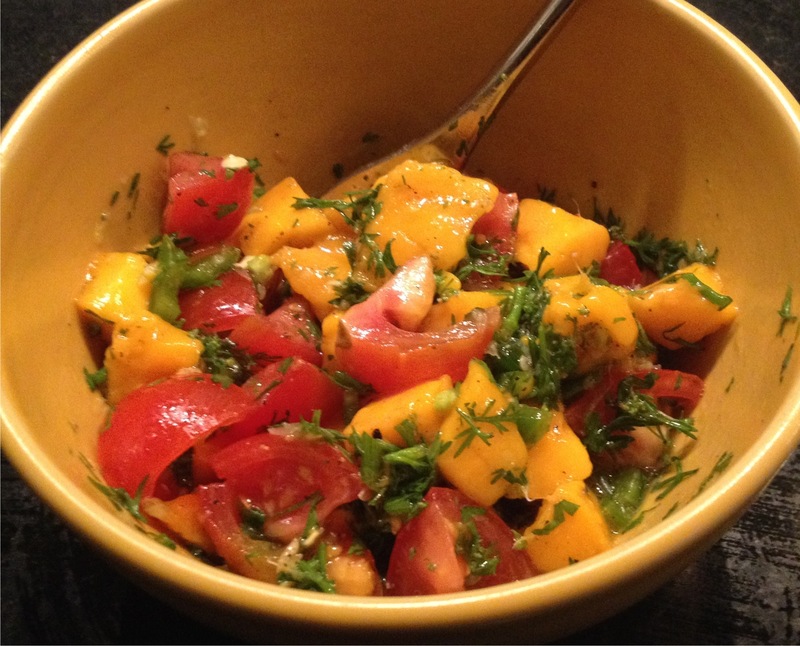 Mango, tomato, jalapeno, olive oil, lime and cilantro – a beautiful combination! 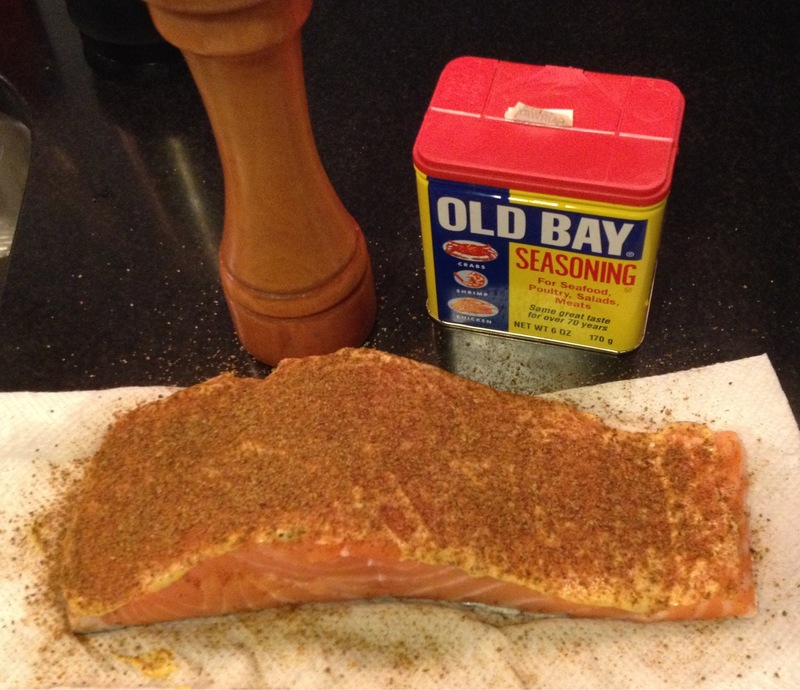 Then to quickly season and cook the salmon, I turned to Old Bay – for the first time on salmon and it was perfect! 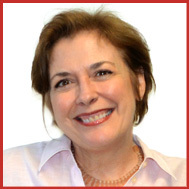 My husband is from Baltimore, the home of Old Bay. I always have some around, just in case we get the urge to steam hard-shelled crabs, a family favorite. But you know, I thought I should be using it more than once or twice a year and so here we are with this delicious salmon dish! Here’s the recipe – light and bursting with freshness – perfect for a late evening summer meal. 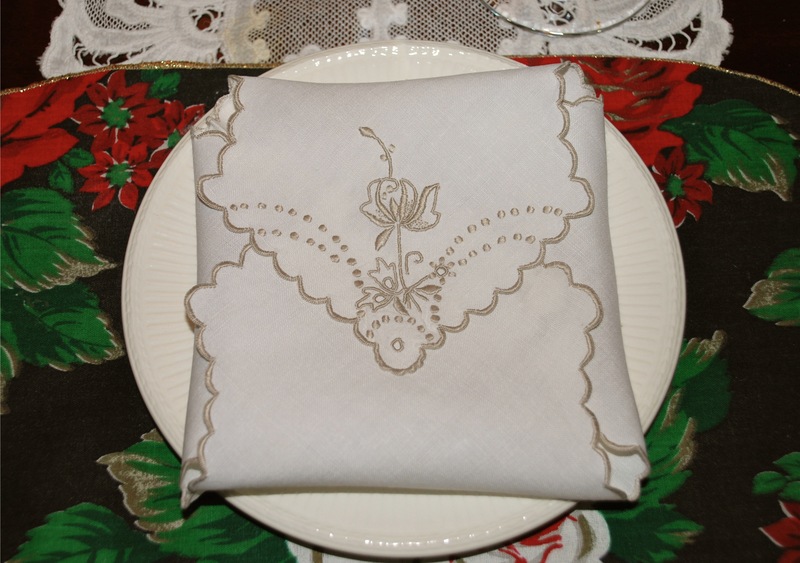 It was another “can you make this again?” request from my husband, and I wanted to share it with you. And please remember to make it with LOVE as it will always taste better! Make the salsa: Toss together the mango, tomatoes and jalapeno. (omit the seeds if you’d like less heat) Drizzle on lime juice and olive oil. Season with salt and pepper. Fold in the cilantro to combine everything. Taste to correct seasoning, if necessary. Let flavors meld while you make the salmon. 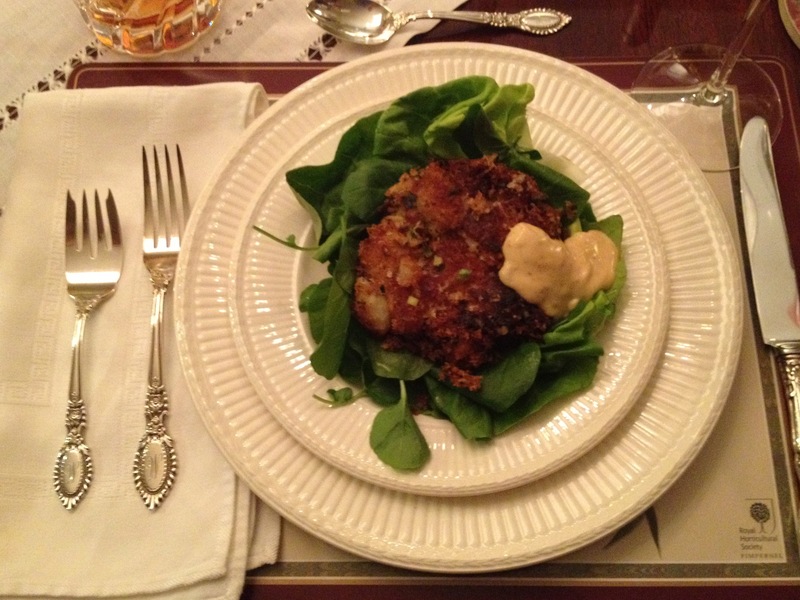 For the salmon: Smear the top of the salmon fillet with the mustard and sprinkle on Old Bay. Heat the olive oil in a non-stick, ovenproof skillet over moderately high heat. Place the salmon in, seasoned side down for 3 minutes. Then carefully turn over and place the pan in the oven to roast for 7 – 10 minutes, depending on how well done you like your salmon and if the salmon is super cold or not. Transfer to a platter. Cut into 2 pieces and serve topped with the salsa. Enjoy! I love coming up with unique combinations of vegetables. Not that this is so mind blowing but it’s a new combination for me. And I love being able to put dinner on the table in 40 minutes. I think the 30 minute claim is BS. Unless you’re using processed food. This meal, I put on the table in 40 minutes, even with the time it takes to cut the kale leaves off of the stem. But what pleased me most, was this vegetable combination of kale with ginger and carrots. The addition of the chicken broth, which was a second thought, only because I had some brewing on the stove, was a great flavor booster. I think I’ve told you before, my husband is not a kale fan. At all. But, he loves my kale salad. I do too, but that’s more time consuming as you have to chiffonade the kale, heat and watch the olive oil, grate the cheese, and toast the pine nuts. And that’s not exactly a low calorie dish with the oil and cheese. This dish of sautéed kale was easy, peasy, really pretty (pretty is important to me), low calorie and Steve liked it! He really liked it. It was delicious! Here you go – you might call this More Easy Vegetables for Joan, 2.0! Warm olive oil on low in a large skillet. Add ginger and carrots and cover for 10 minutes to soften. Add all the kale and the chicken broth and cover for 5 minutes. Toss and turn up heat to medium and toss and cover alternately until kale and carrots are tender to your liking, 10 – 12 minutes longer. Salt and pepper to taste. Serve with love. 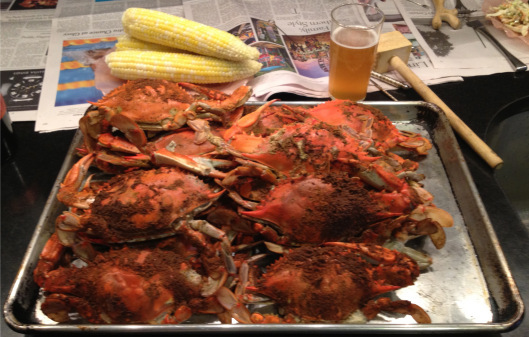 There’s nothing better than a meal of hard shell crabs, corn on the cob and a cold beer on a hot summer night. 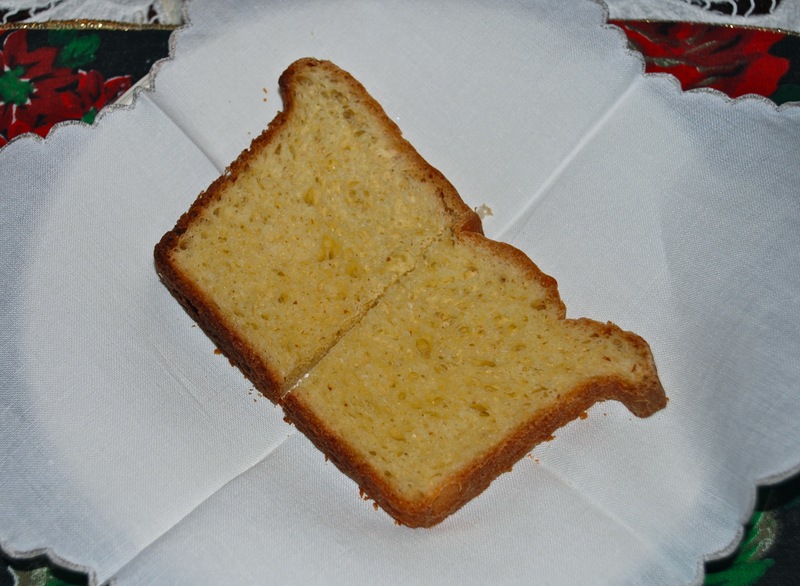 Throw in a little coleslaw, make sure you have plenty of newspapers and you are set for a real treat! Since my husband is from Baltimore, this is a must at least one summer night in our household. This was our dinner last night and the crabs were heavy, meaty and delicious! Just follow the instructions on the back of the Old Bay can. Make sure your blue crabs are alive to start, wash them in the sink using long tongs, as they will bite. Create a steamer rack in a large soup pot, (I use a store bought aluminum pan, upside down and punched with holes), fill with about 2″ of half water and half cider vinegar, (or you could use plain old white vinegar), put the live crabs in, layer by layer sprinkle heavily with Old Bay, cover and steam for 30 minutes and voila – get ready to work for the succulent crab meat. It is worth it!